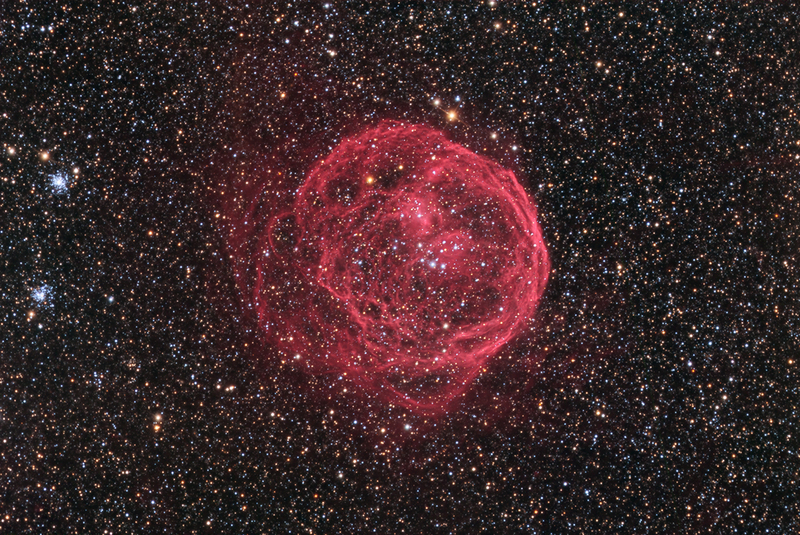 is a luminous 'superbubble', discovered by American astronomer and astronaut, Karl Henize. The intense energy of a Wolf-Rayet central star causes swift stellar winds to swirl madly about it. Located within the Large Magellanic Cloud (LMC), Henize 70, also designated as N70 and DEM301, is approximately 350 light-years in diameter, and is located 165,000 light-years away. This data was gathered in 2013 by SSRO.